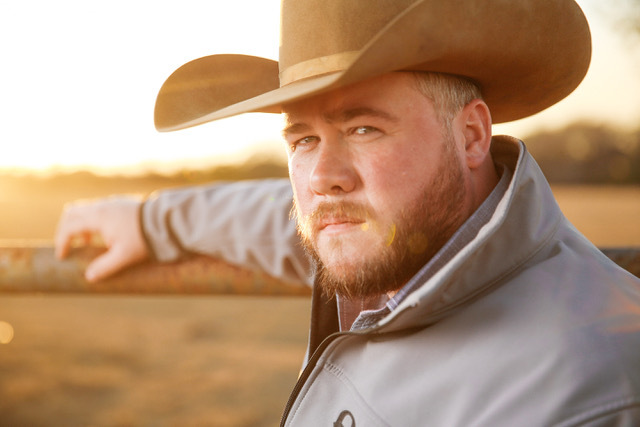 An anchored mindset that has led this Texas country music rising star from a drifter’s adolescence to the jeopardous game of the rodeo circuit to the punishing toil of the Texas oil fields, and on into the fickle arms of the music business. Some might argue whether it is having nine consecutive #1 hit singles in Texas under his belt that has garnered him staying power, or that he is killing it in the social media world with over 2 million views on YouTube and over 6 million streams globally on Spotify. Maybe it’s his 3 venerated album releases, or maybe because he can not only bat a full house on a 200 plus dates a year touring average, but also rope in crowds on a first time performance in an unfamiliar town. While impressive, all those distinctions can come and go in the world of music. The reason for his staying power turns out to be quite a simple one. And that is because Josh Ward is country music blood to bone, and both Josh Ward and country music are simply not going to go away. The culmination of his radio success and his victories out on the road can easily be attributed to the actual man behind the music. In life, sometimes a person gets dealt a lean hand and has to choose his family from strangers along the way, people who make a conscious choice to take you under their wing and help guide you through life. Ward considers himself a very lucky man despite some rough teenage years. The love and support of his extended family and his chosen family was the concrete foundation he built his life on, and his fans are a big part of that. It’s why they are drawn to him through the speakers, because he is what he sings. It’s why they are drawn to him from the stage, because he’s an old friend who’s come back to visit. He’s the animated truth of all he stands for, a self-made family man who always has a welcome smile and an open spot in the family. To his loyal fans he feels he owes everything. “Words can’t describe the emotion that gets put into these runs and the work that we do. And these people pay their hard earned money to see it every night. Thank you. Every time I step on stage, you guys remind me that I have more than I deserve.” And so his brand new album, so aptly named, is Ward’s dedication to his growing family.